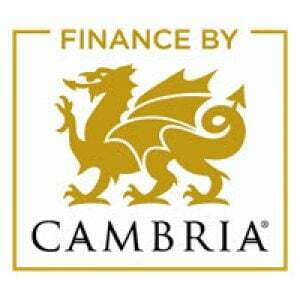 We are a full service interior design + build company with extensive experience in bathroom, kitchen and basement projects. We partner with clients to help them re-imagine and reshape their homes to support their lifestyle and enhance their living experience. Let us guide you through the process and help you design the space of your dreams! Actuate Home Improvement is driven by passion for our work and a commitment to excellence. We partner with clients to help them re-imagine and reshape their homes to support their lifestyle and enhance their living experience. Our comprehensive remodeling process model and one-stop-shop structure are backed by inspired design, exceptional craftsmanship and superior customer service. The bathroom is possibly the most versatile room in the home, providing a place of privacy, relaxation and more. From the small and simple first floor powder room to the sprawling, spa-like master bath, Actuate can help you bring together all the details to complete the project and bring your vision to life. Imagine a home addition that not only increases your living space, but improves your quality of life. You’ve decided you need more space in your home. Maybe your family has grown, your use of the space has changed, you need additional storage, or just more room to stretch out. Call us today, to discuss options. 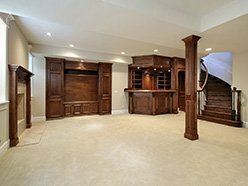 Behind every door is a room full of potential, and few spaces have more potential than basements. 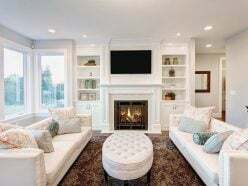 Our experienced remodeling team can transform an underutilized basement, providing homeowners like you with a remarkable remodeling experience and a final product that you’ll cherish for a lifetime. Our way of doing business is unique. We believe transparency, accountability, and customer service are must-haves. If you want a home contracting company that cares about your project as much as you do, then give us a call to find out if we’re a good fit for your next project. Let’s get together. Let’s talk about your goals, budget and timeline. Let us show you how Actuate Improvements can not only meet, but exceed your expectations. 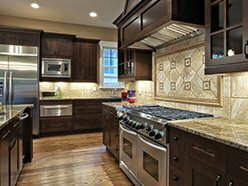 From countertop materials and cabinet styles, to drawer-pulls and paint colors, Actuate will guide you through the selection process.